Greg specializes in office and retail leasing, representing both tenants and landlords, and in investment sales. 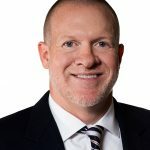 Since 2005, Greg has served diverse clients ranging from local independent companies to large national corporations and has participated in multiple regional and national office relocations. His accolades include being awarded the Nashville Area Chamber of Commerce Stellar Achiever Award and nominated for the following: the Nashville Emerging Leader Award (Nashville Area Chamber of Commerce), the Rising Star Award (NAIOP), and the Horizon Award (Cassidy Turley).